At Family Dentistry of West Bloomfield, we strive to provide the highest quality in dental care while maintaining a fun, friendly office environment. Our doctors and highly trained team of dental specialists work hard to treat every patient on an individual basis, and we strive to take a holistic approach to helping our patients achieve a healthy smile. We see a variety of patients with a diverse set of dental needs, and we're proud to offer a wide array of treatments to help every one of our patients achieve optimal oral health. At the foundation of our treatments is general dentistry, the array of services and procedures designed to preserve your natural teeth for as long as possible, maintain your oral health, and keep your teeth looking healthy, beautiful, and strong. While the aesthetic appeals of this are obvious, the health benefits are more significant than you might think: recent research has linked oral infections to general health conditions – even ones as serious as cardiovascular disease. Keeping your smile healthy isn't just important for your teeth, it's a vital part of your total health. Ideally, this process starts in childhood - even young toddlers can benefit from a trip to our office! Starting dental care early sets the foundation for a healthy smile later in life, and building the habits from a young age helps cement them into lifelong practices. From your first visit to our office, we'll work with you to help you make the most of your oral health - all in a way that makes sense for your lifestyle. • Cleanings & Exams: With regular checkups and cleanings, we'll keep your teeth and gums healthy, preventing disease before it progresses. • Crowns & Bridges: Lost a tooth? Not a problem - we'll have your smile looking brand new. • Dental Implants: These natural looking replacement teeth will give you back your smile and last you the rest of your life. • Extractions: Try as we might, sometimes a tooth has just got to go - and we make the process virtually painless. • Fillings: If you're experiencing cavities or decay, we'll help put your teeth on the path to better health. • Oral Cancer Screenings: Oral cancer can be cured if caught early, but the key is regular screenings. • Orthodontics: Once we get your teeth healthy, we can straighten them through braces or Invisalign. • Removable Dentures: Let us rebuild your smile from the ground up! • Root Canals: Through root canals, we can rescue diseased and damaged teeth. • Sealants: Help prevent cavities in the most dangerous areas. • TMD Treatment: Jaw pain interfering with your life? We'll help you soothe it. 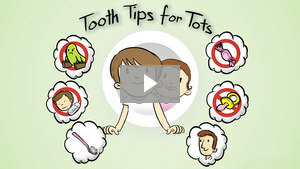 • Tooth Decay Prevention: We can help you hang on to your original teeth for as long as possible. While many people only visit the dentist when something is going wrong, the truth is that's the wrong approach - and it's a recipe for painful decay and expensive repairs. Instead, we encourage you to visit us proactively, scheduling regular visits for cleanings and exams. During your visit, we'll perform a thorough oral exam to check on the health of your mouth, an oral cancer screening to detect any signs early, and a deep cleaning that will remove plaque and bacteria from your teeth. Every patient is different, so we'll work with you to discuss how frequently you'll need to come in. Have more questions about our practice or the treatments we offer? We're always happy to speak with you. Feel free to call us at 248-661-4000, reach out to us at our contact page, or use our easy online form to schedule an appointment at our West Bloomfield, MI office. We can't wait to hear from you, and we look forward to helping you achieve a gorgeous, healthy smile!